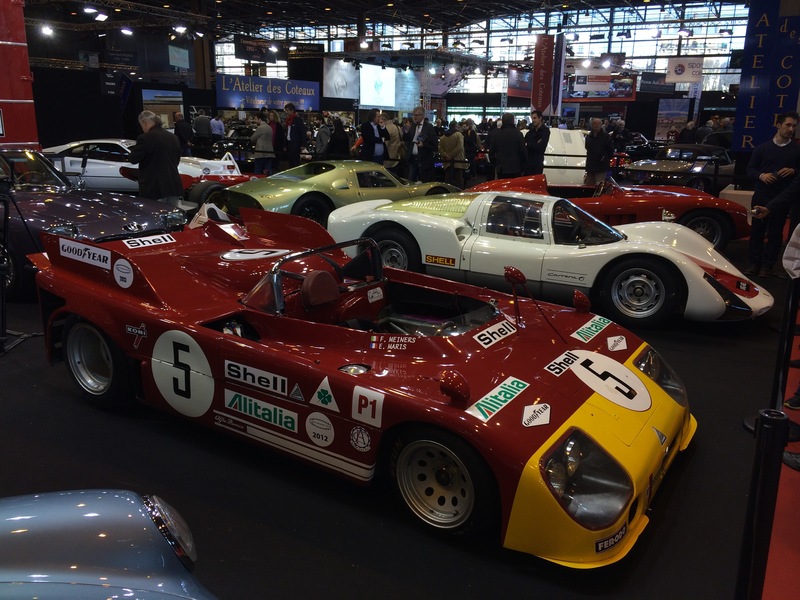 Retromobile Paris is arguably the most prestigious classic car show in Europe and is a must see for classic car enthusiasts. 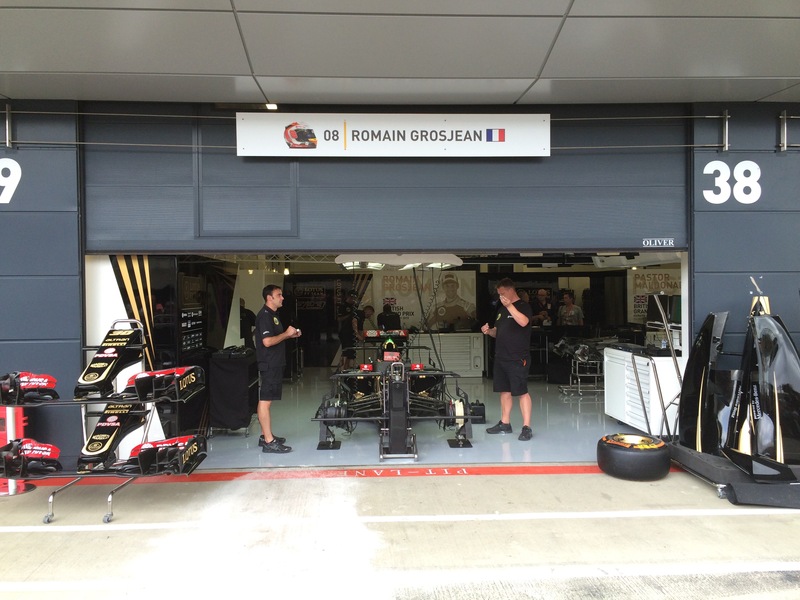 With cheap air fares and the show’s close proximity to Orly Airport, a day trip for old car loving Brits is relatively easy. 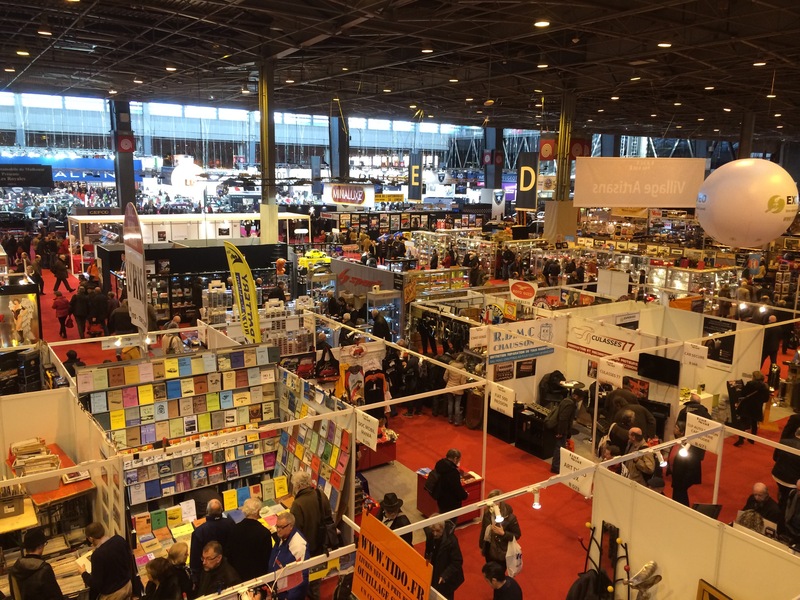 The show is held at the vast Paris Expo exhibition centre near Porte De Versailles on the Paris inner ring road. 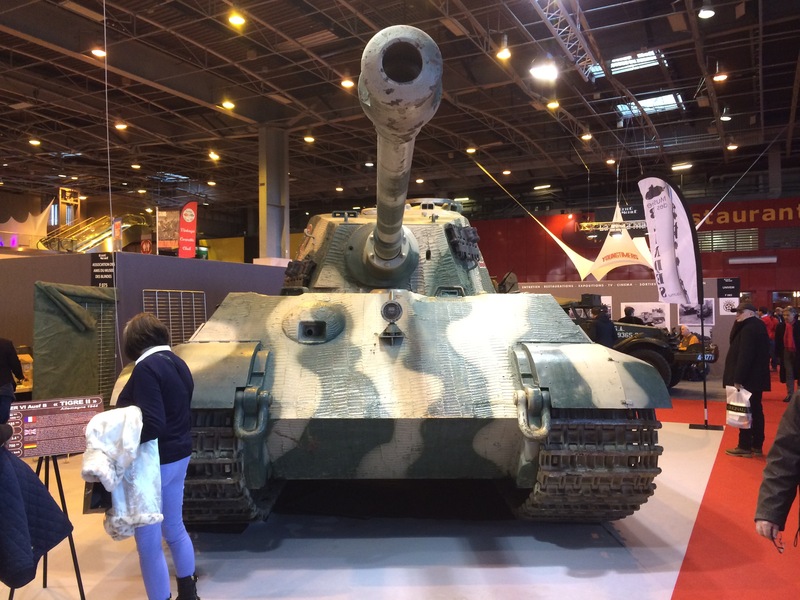 Whilst certainly a big show, as it is all in one hall, it felt no bigger than the NEC Classic Car Show, and felt smaller than the big German shows at Stuttgart and Essen. I arrived an hour after the show opened at 11 and was done by 5pm. You would certainly struggle to see either of the two German shows in the same time. 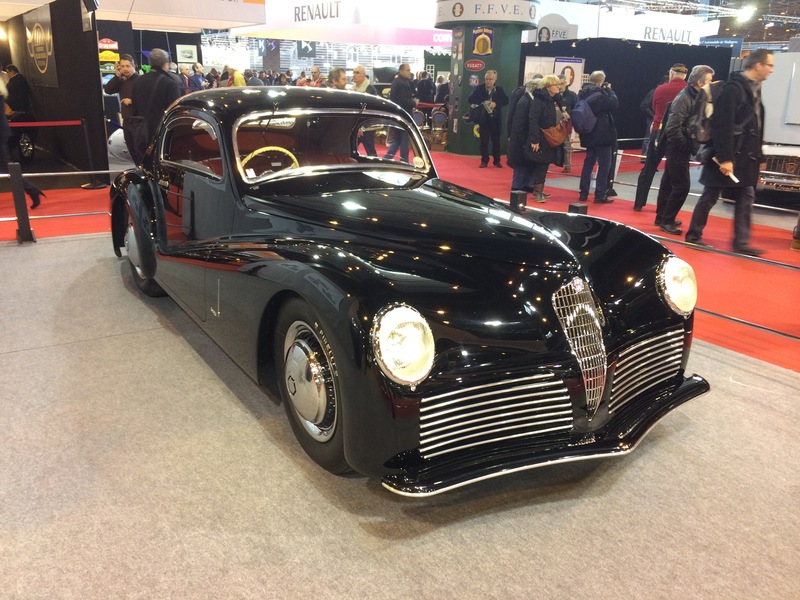 This year Retromobile celebrated its 40th year with an excellent mix of automobilia and autojumble sellers, high-end car dealers, club exhibitors, museums and manufacturers. 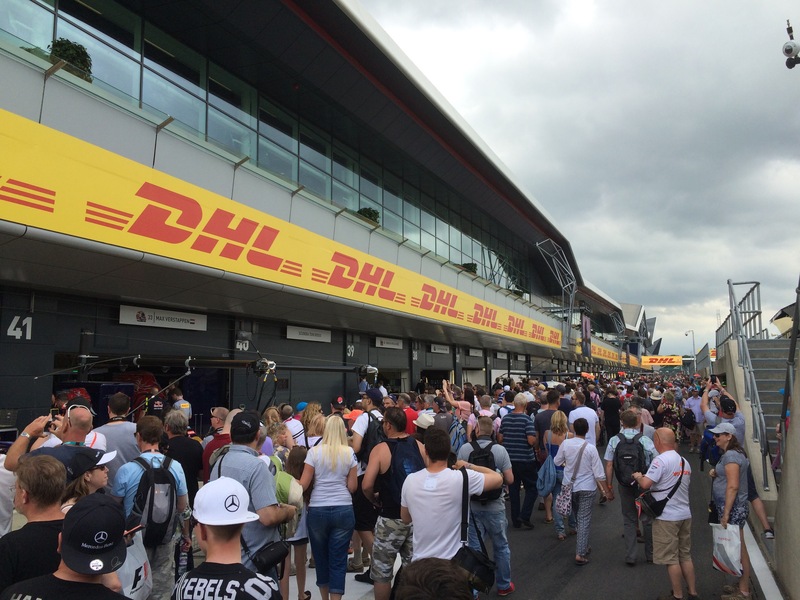 In common with the German shows, local manufacturers used the event to showcase their heritage collections as well as some of their new cars. 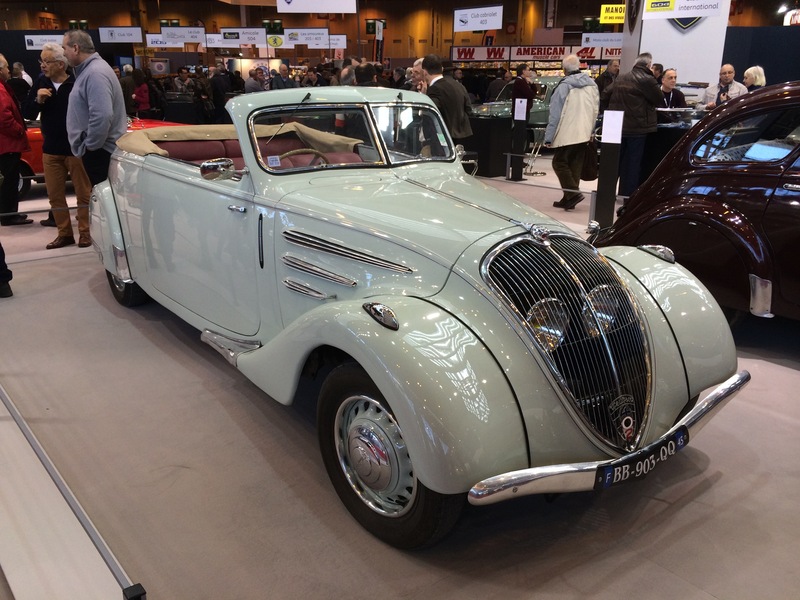 PSA put on an excellent show of Peugots and Citroens, and foreign manufacturers represented included Daimler-Benz, Skoda and Porsche. 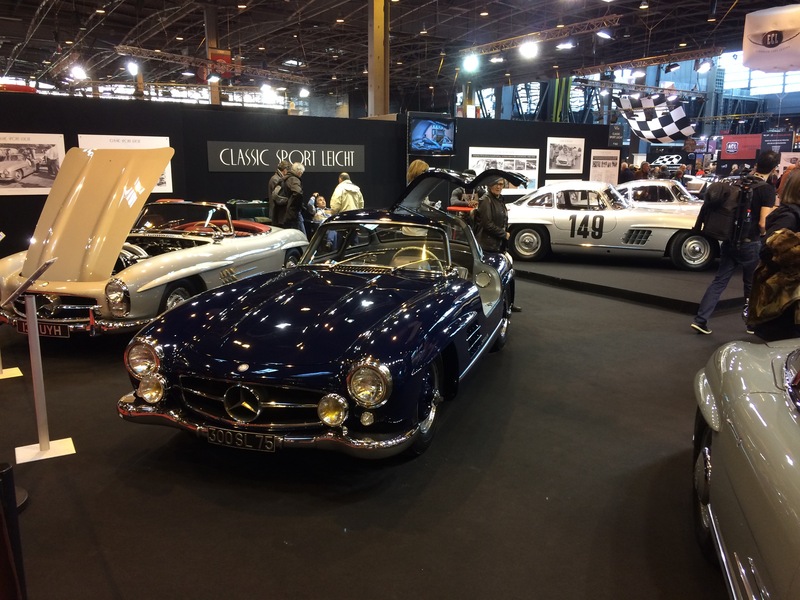 Again, like the German shows the exhibiting car dealers were very high end indeed, with several displaying inventories worth in excess of £10 million. 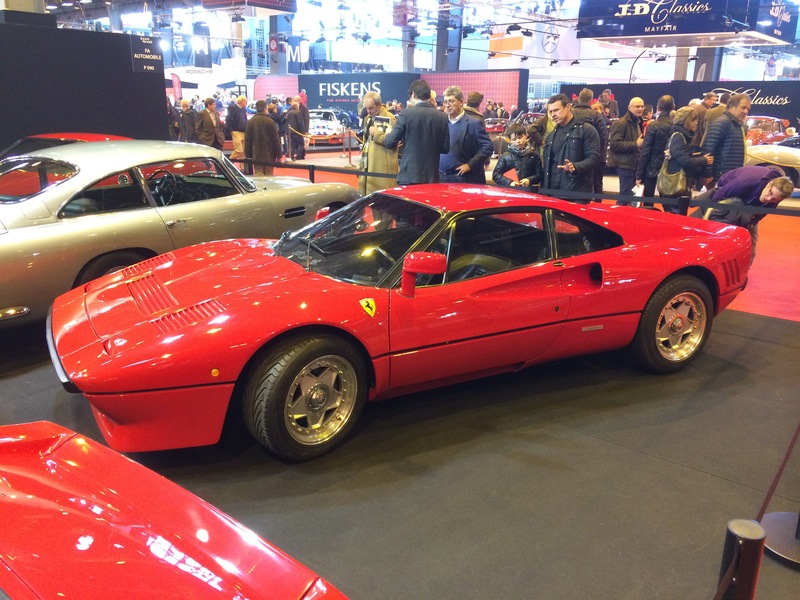 Not something you see at the NEC classic car show! 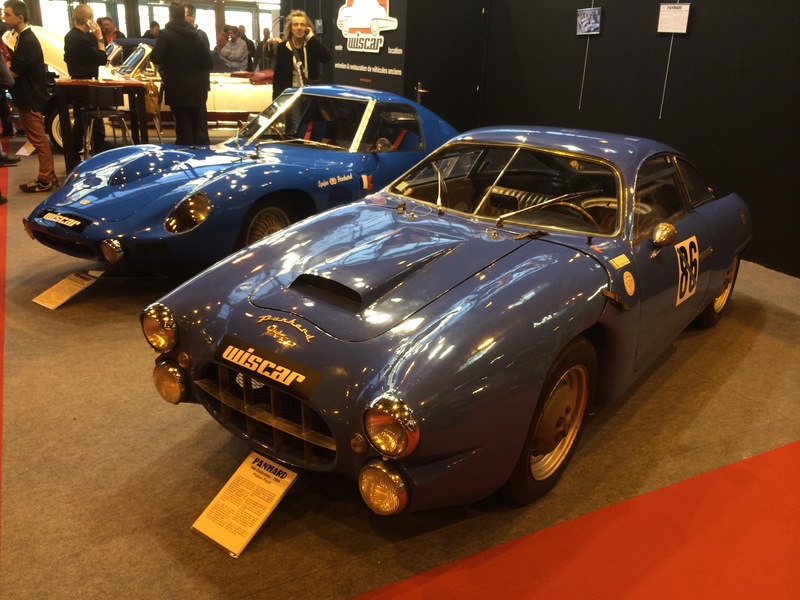 Lovely pair of Panhard racers. 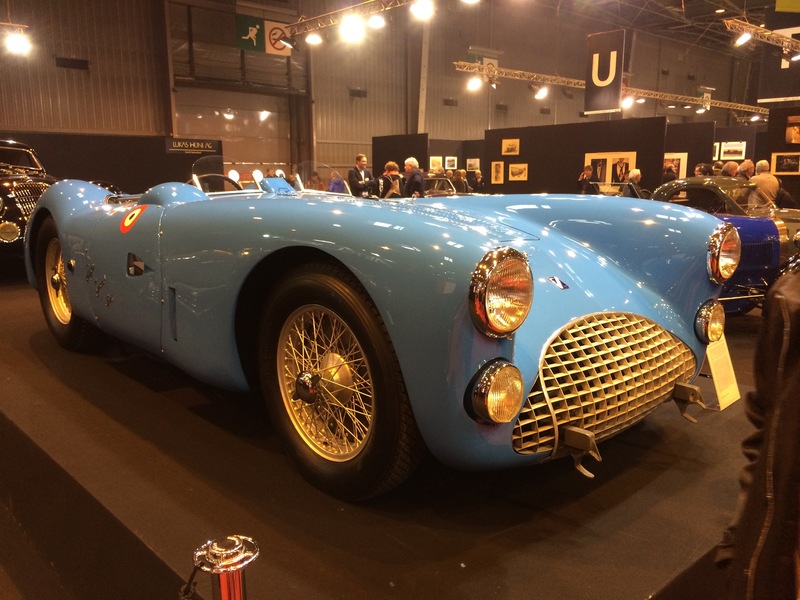 The nearest is a 1954 X86 “Dolomites” which took part in the Tour De france and various rallies that year. Not something you see at most classic car shows! 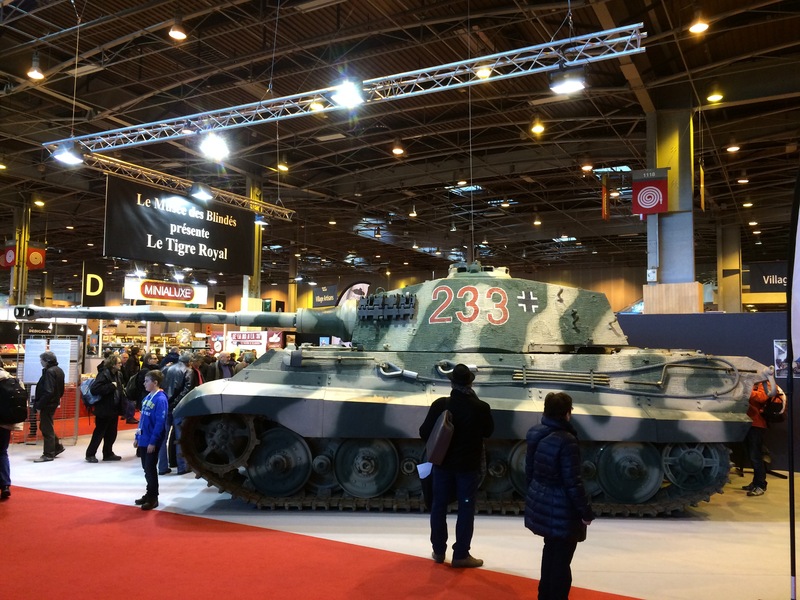 The French Tank Museum displayed this fully operational German WW2 King Tiger tank. 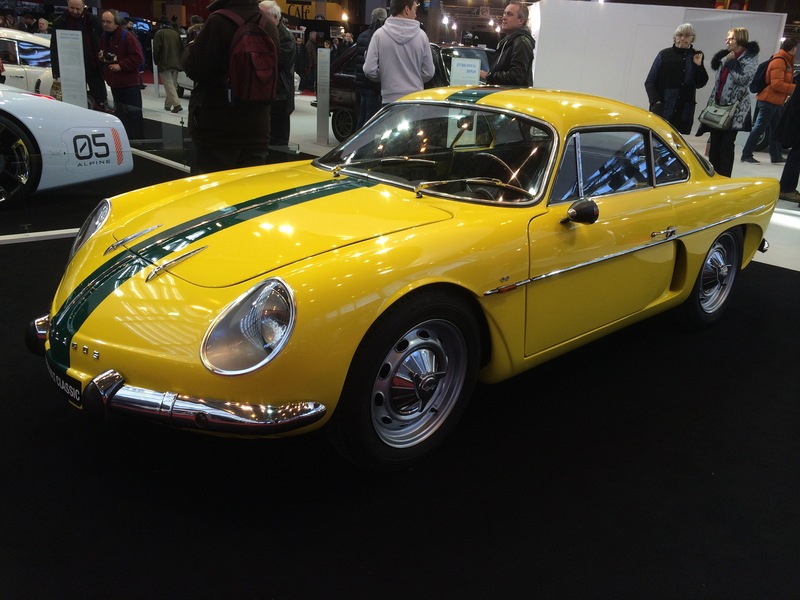 The Matra Club de France displayed a good selection of pristine cars, including this mint 530. Beyond is a Bagheera – novel at the time for its three abreast seating – long before McLaren copied the idea in their F1. 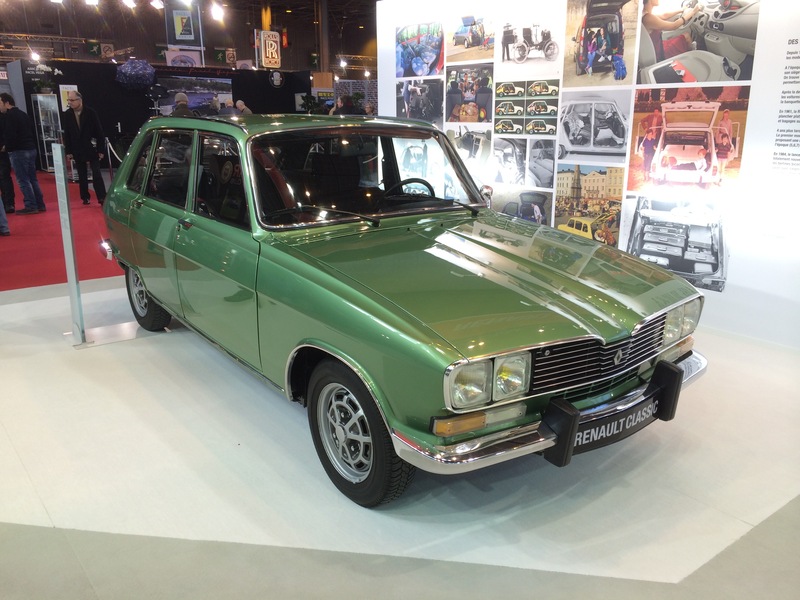 Renault Heritage displayed a selection of Renault 16’s to celebrate the revolutionary model’s 50th anniversary. This is an as new TX. 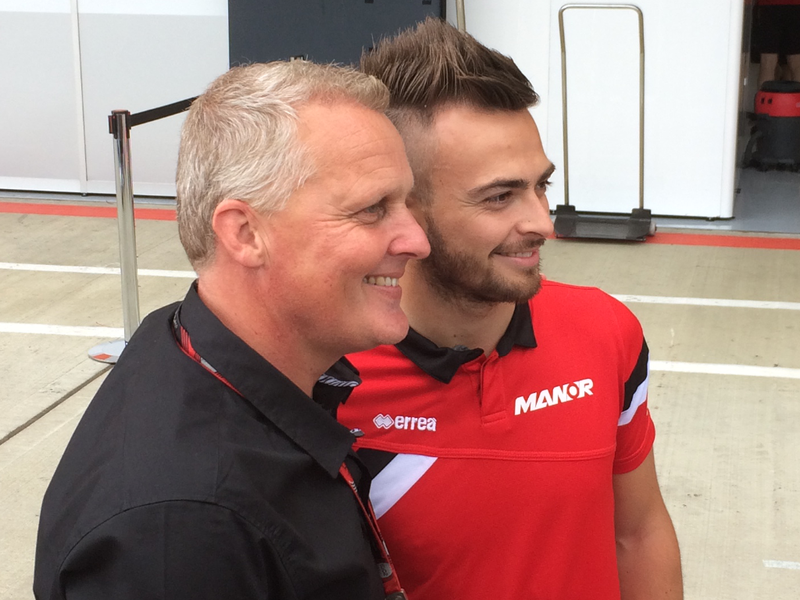 Journalists were able to book passenger rides in a fleet of R16’s around the local area. 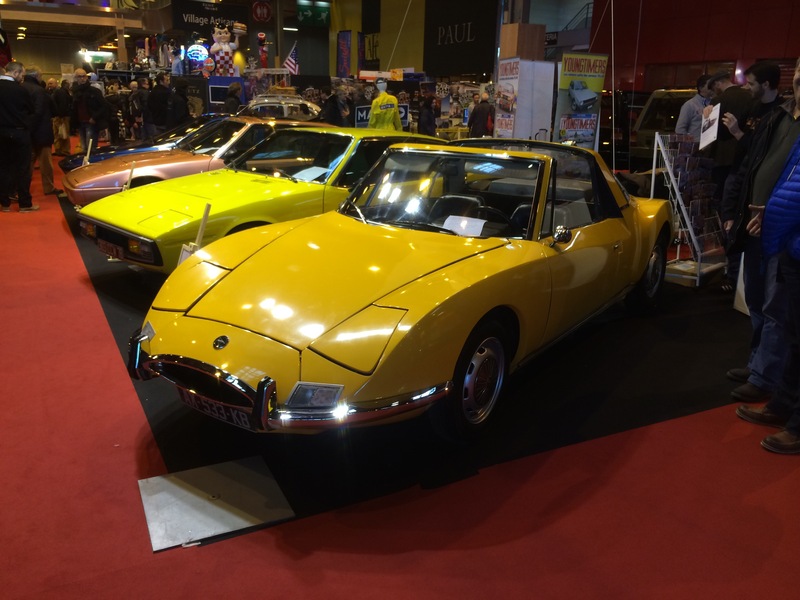 Not to be outdone by the Regie, PSA Heritage and affiliated clubs brought a large number of Citroen and Peugeot classics to the show. There was a particularly fine display of Citroen DS models to celebrate that model’s 50th anniversary. This is a rare and expensive convertible. 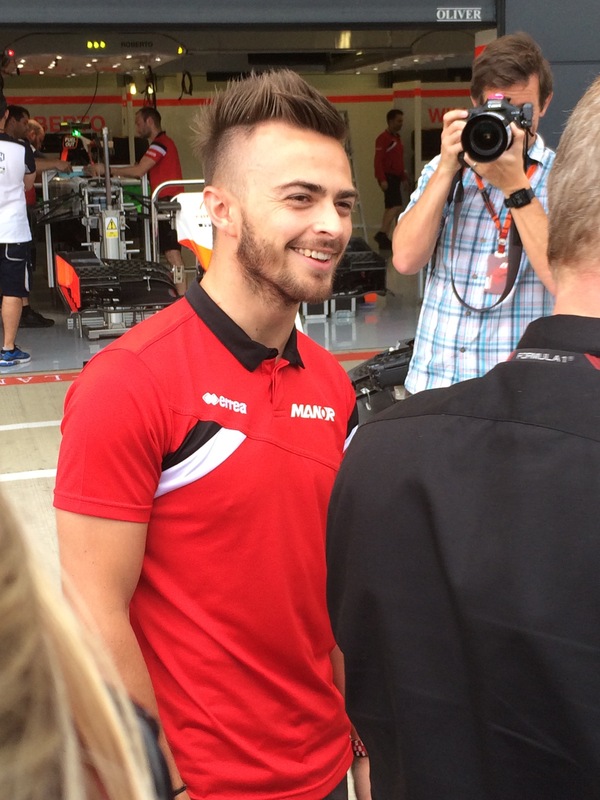 Also celebrating its anniversary was the Alpine mark. Renault displayed a number of these fine sports cars including this early Brazilian racer. 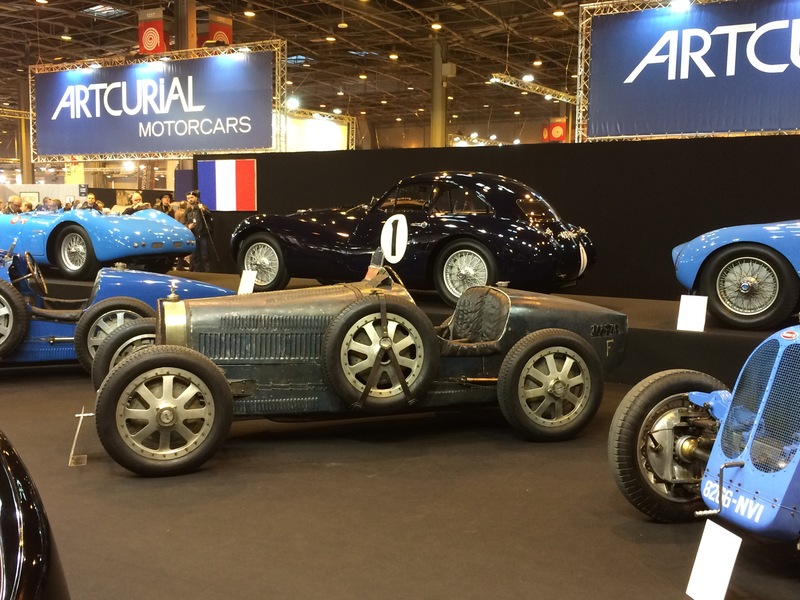 The Schlumpf Collection (or as its now known, La Cite de l’Automobile a Mulhouse) sent their “Three Kings” – three stunning Bugatti Royales. This is the Coupe Napoleon. 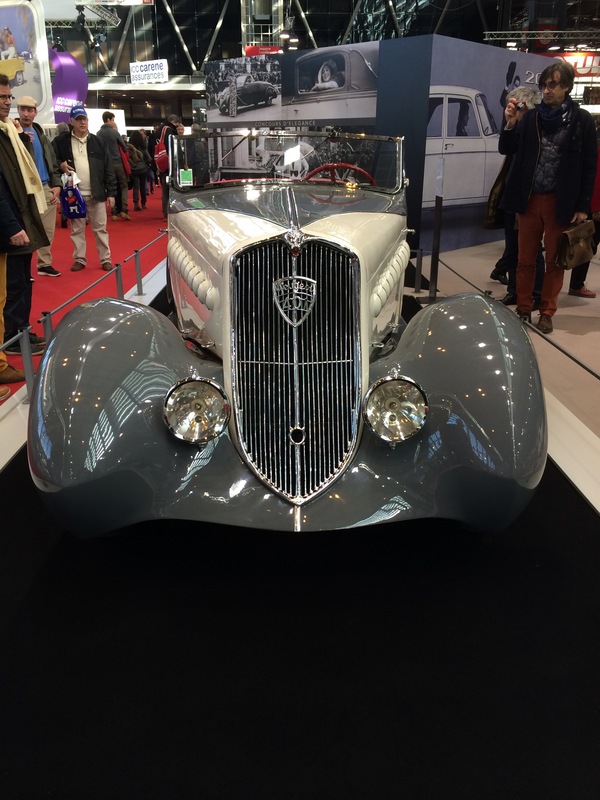 The Schlumpf collection houses hundreds of gorgeous classics and scores of Bugattis. Its well worth a visit. 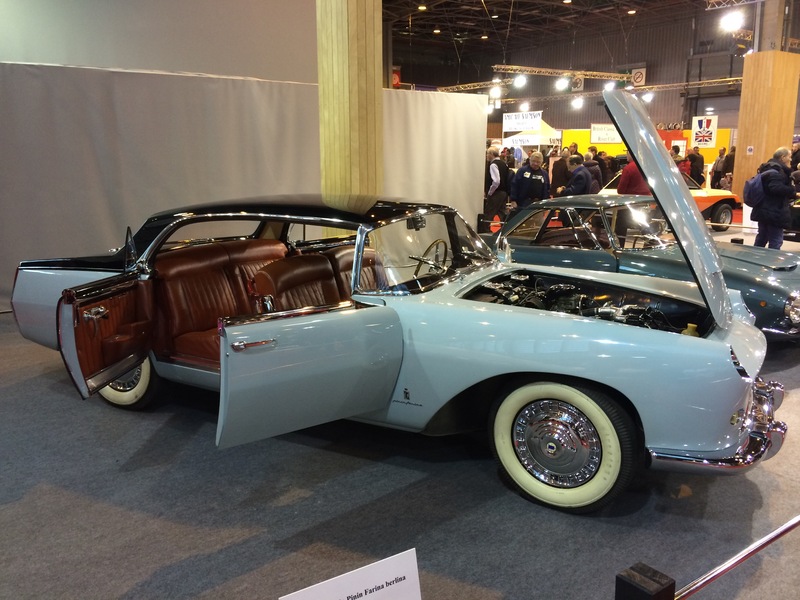 Peugeot displayed a number of cars from their heritage collection at Sochaux, including this 401 drop head. 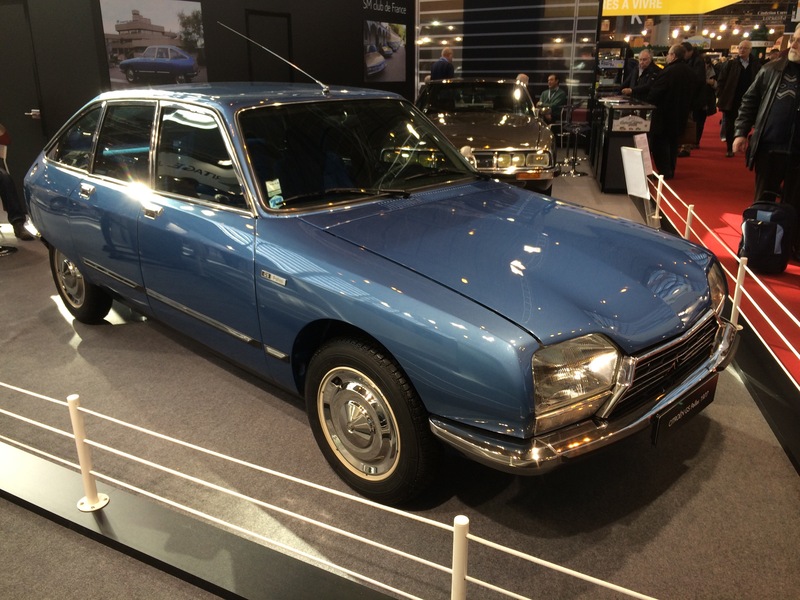 The Musee de l’Aventure Peugeot is another great French auto museum. 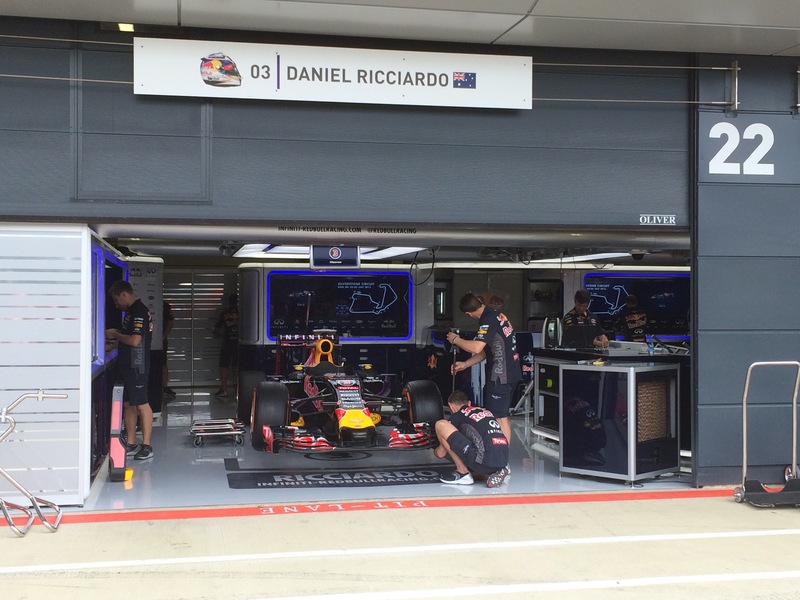 A visit can be combined with a tour of the factory where you can watch brand new 208’s rolling off the production line. 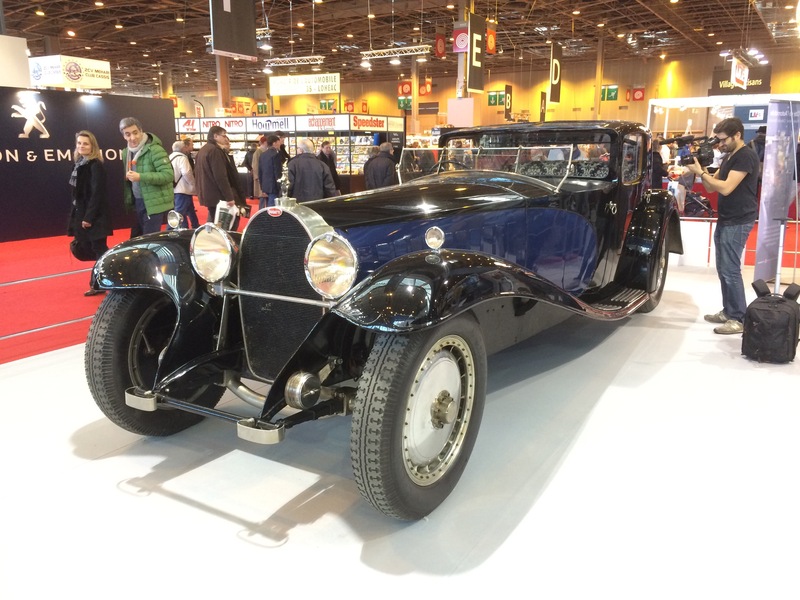 This beautiful 1930s Peugeot 402 drop head shows what attractive and revolutionary cars Peugeot made before the war. 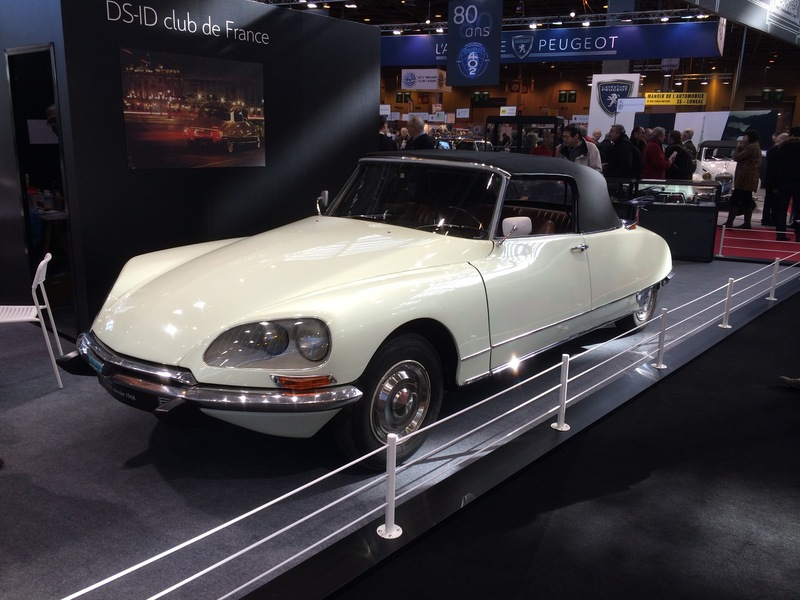 The neat lines of this 1976 Citroen GS show the clear family resemblance to the more up market DS. I had my first driving lessons in my Dad’s GS which was precisely this shade of blue. 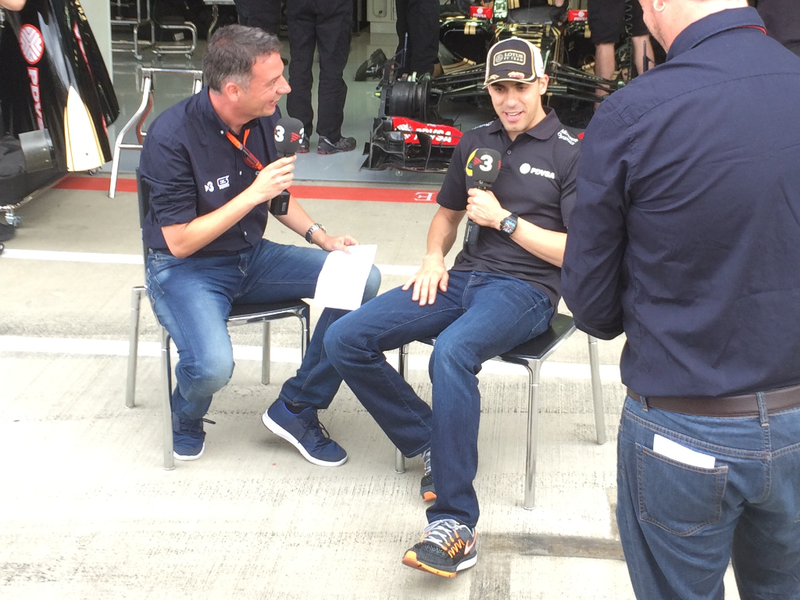 A very comfortable but complex car! Typical selection of cars with one of the high end dealers. Targa Florio Ferrari, Porsche 908, Maserati 300.. 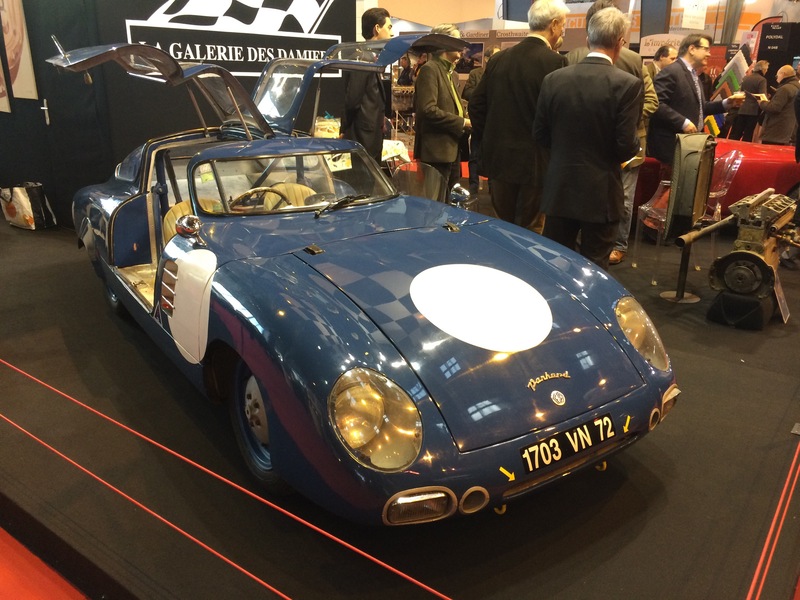 This smart gullwing Panhard sports racer was for sale. 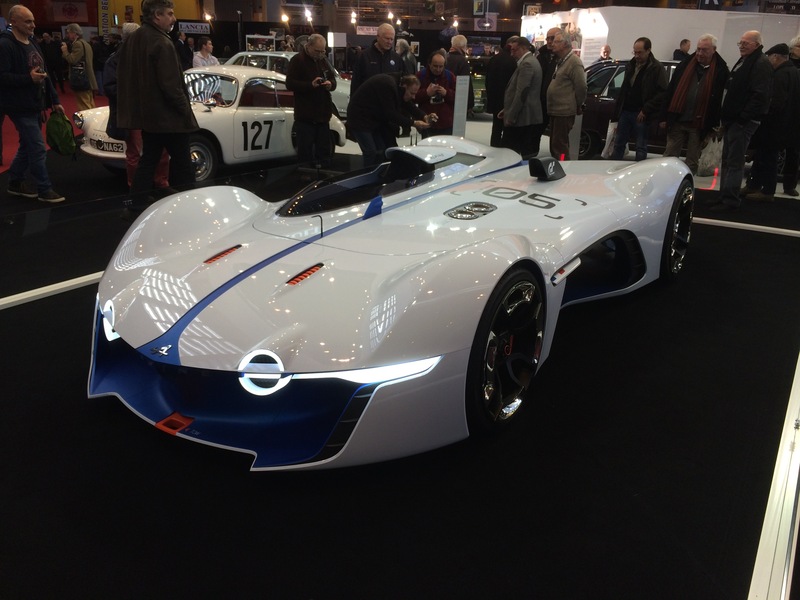 It would make a very different entry for the Le Mans Classic. Skoda also took the opportunity to showcase their heritage. 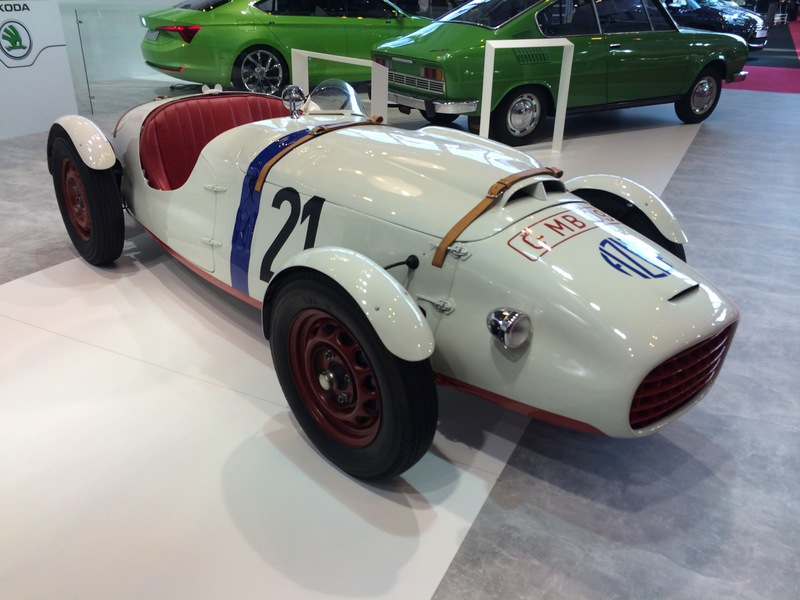 This is a Skoda racer from the 1950s. 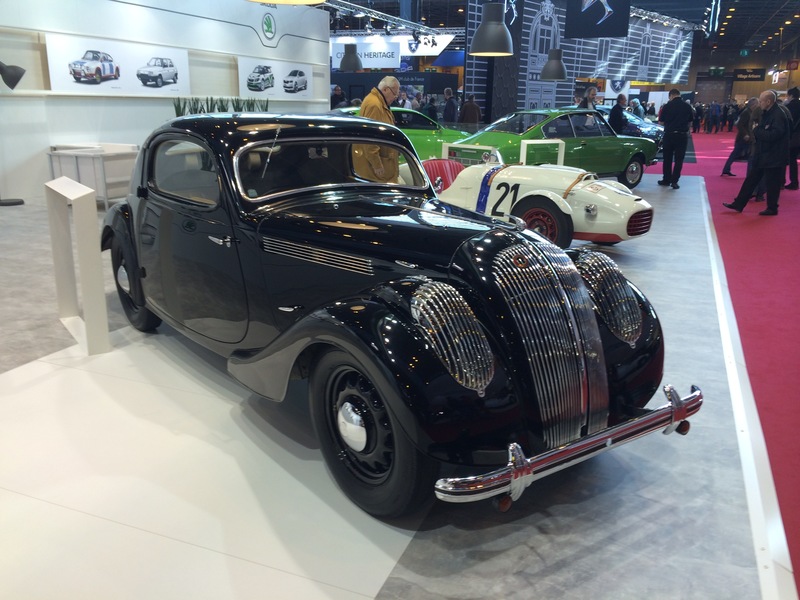 This is a 1936 Skoda Popular Sport Monte Carlo coupe. No prizes for guessing how it got its name. 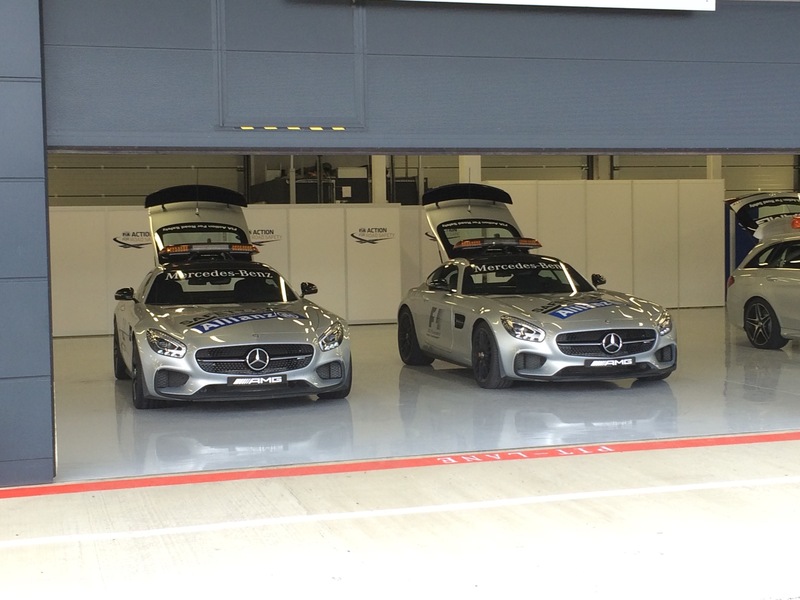 Daimler Benz showed their new cars next to the old. 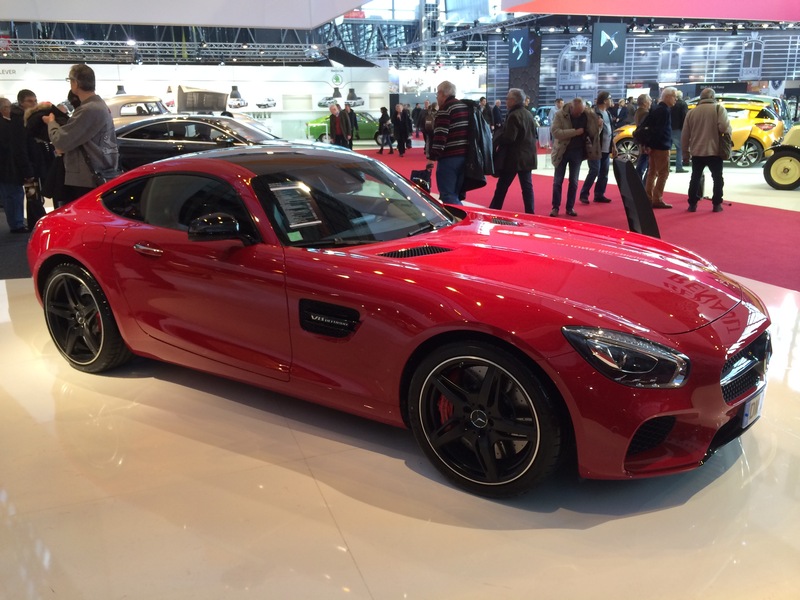 This is the new AMG GT – like a scaled down non gullwing SLS. Its good looking but as cramped as an F Type. 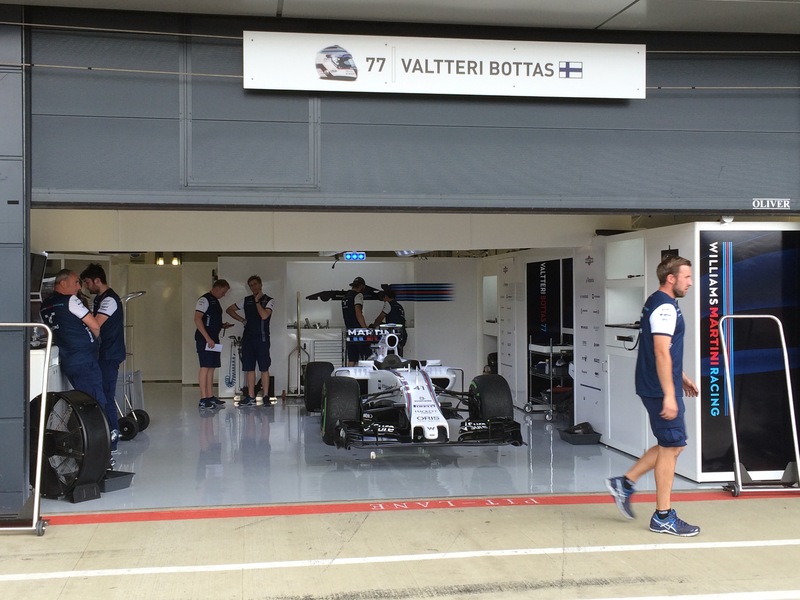 Porsche won’t be worrying too much about the competition. 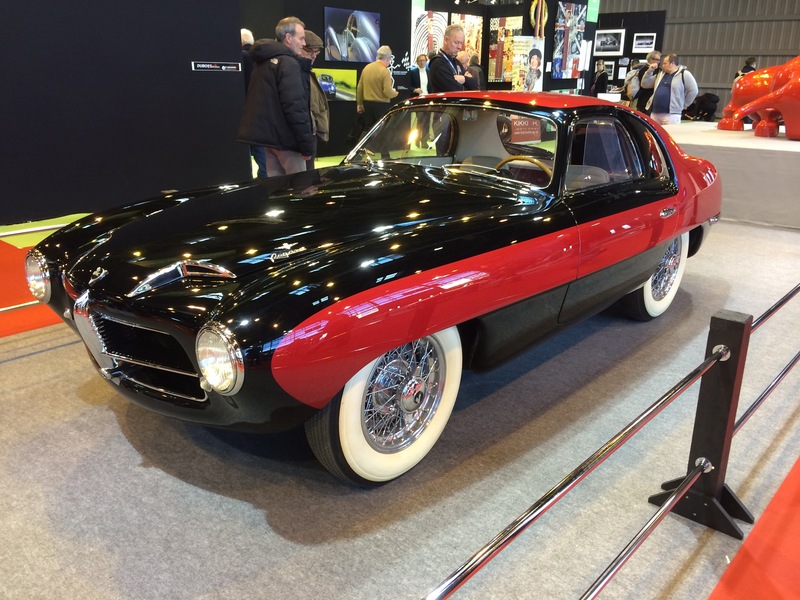 1955 Lancia Florida Pinin Farina Berlina. 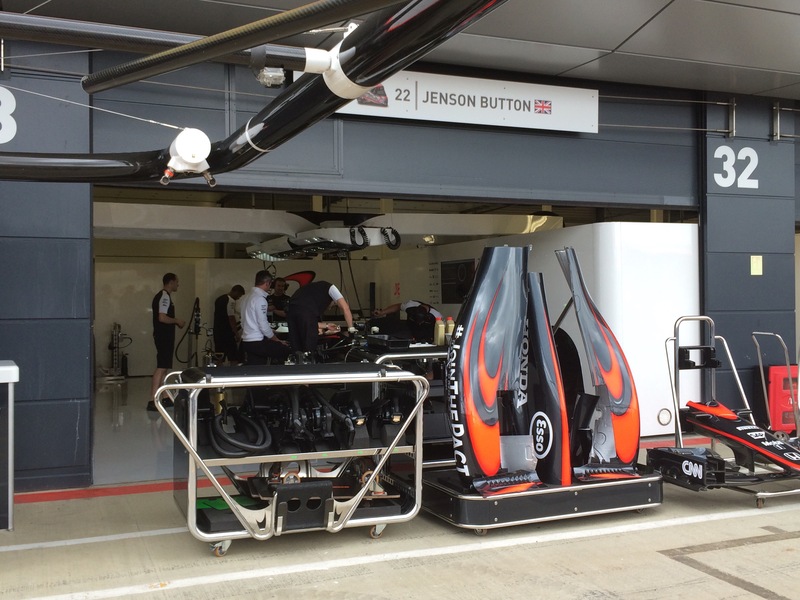 A beautiful car but no doubt with the structural rigidity of blancmange. If you were a well heeled French patriot there was a good supply of fabulous 50’s sports racers for sale including this Gordini. 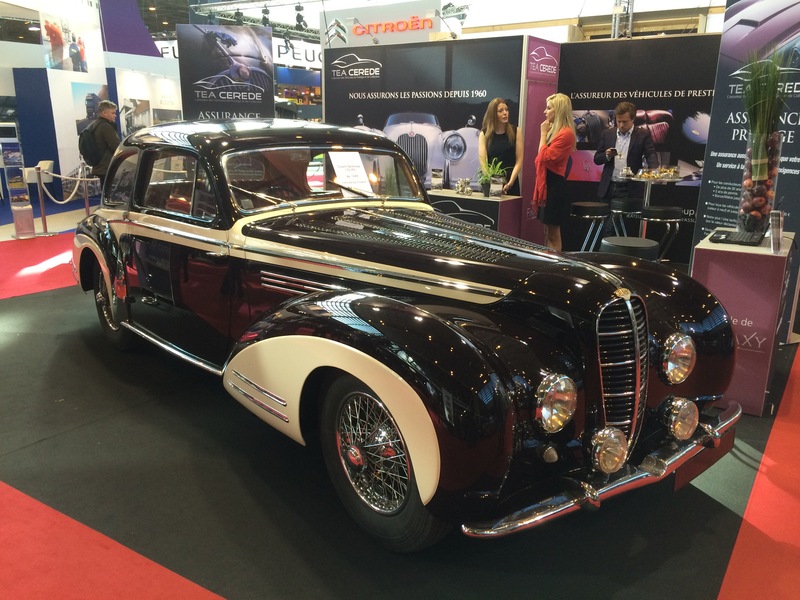 1942 Alfa Romeo 6C 2500 SS Bertone. 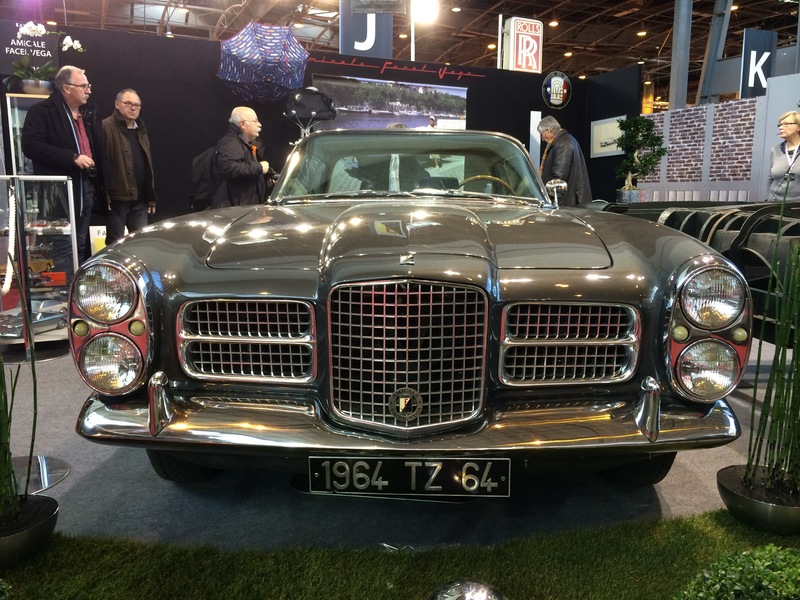 You would have thought Alfa would have had other priorities in 1942..
No French car show would be complete without at least one Facel Vega, the 1960’s car of the stars. Not bad for a used car lot. Bugattis as far as the eye can see. 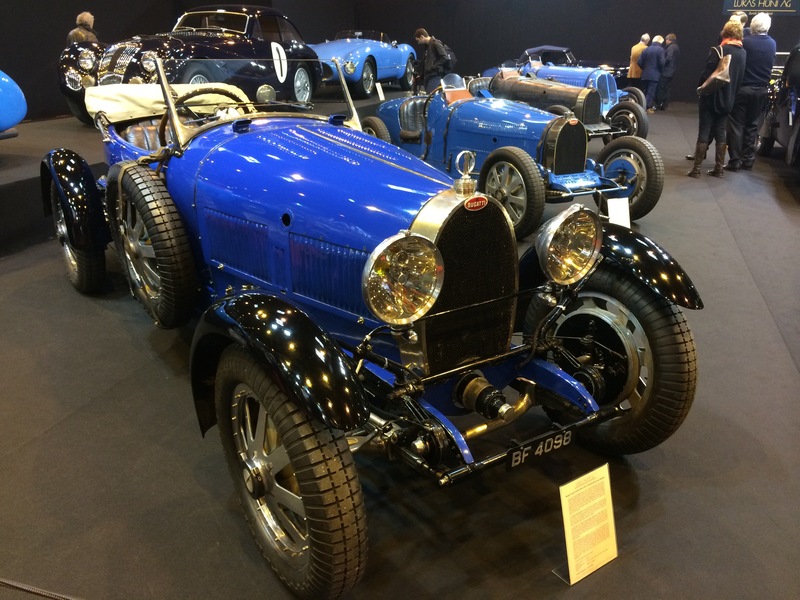 Well patinated Bugatti Type 35B. The vintage sports car.. If only I had a spare few million.. 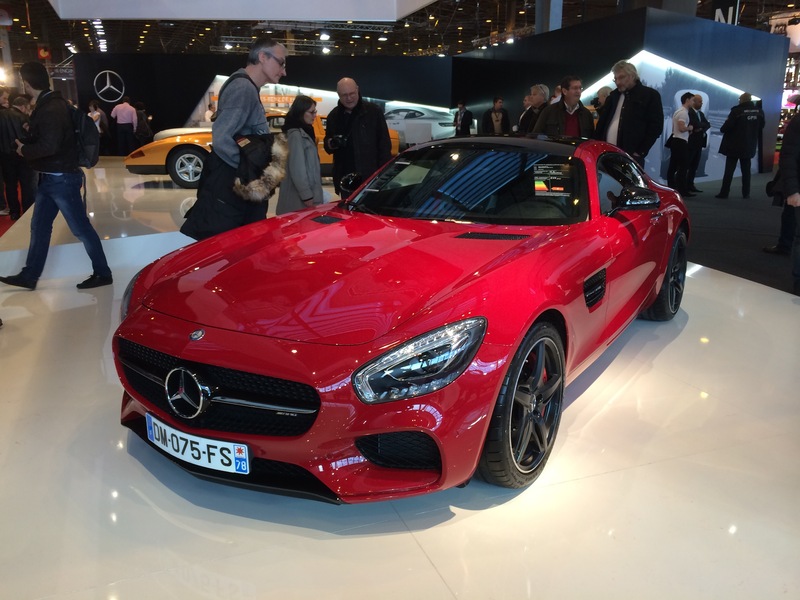 This German dealer was selling no less than four Gullwing Mercs. 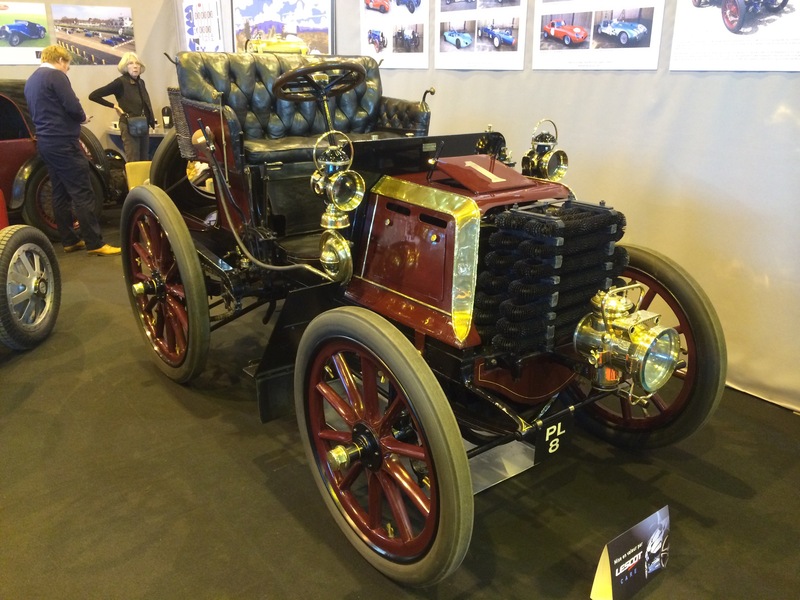 A British dealer was selling this interesting 1898 Panhard et Lavassor 8HP. Stated to be the oldest race car in existence, it took part in the 1898 Paris – Amsterdam – Paris race, one of the great city to city Gordon Bennett races that predated circuit racing. 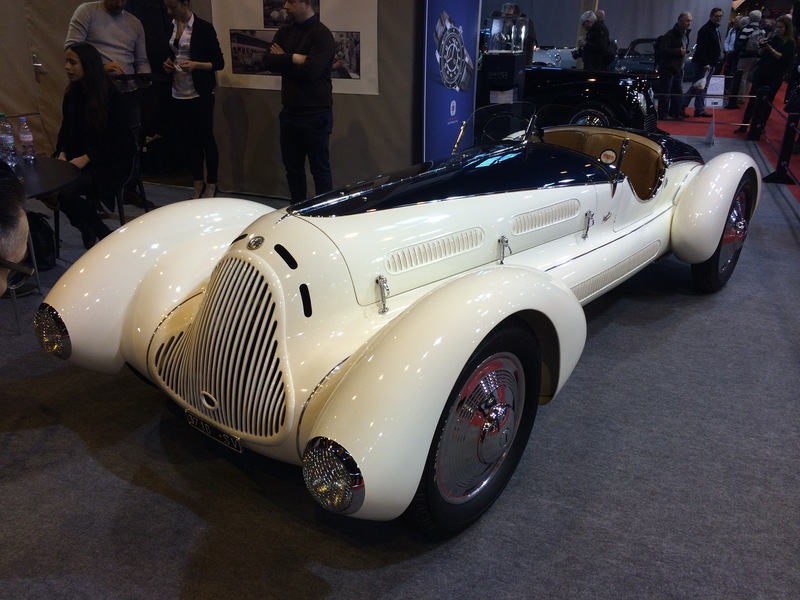 A strong collection of pre war coach built cars included this ungainly 1931 Alfa Romeo 6C 1750 GS Zagato Aprile. 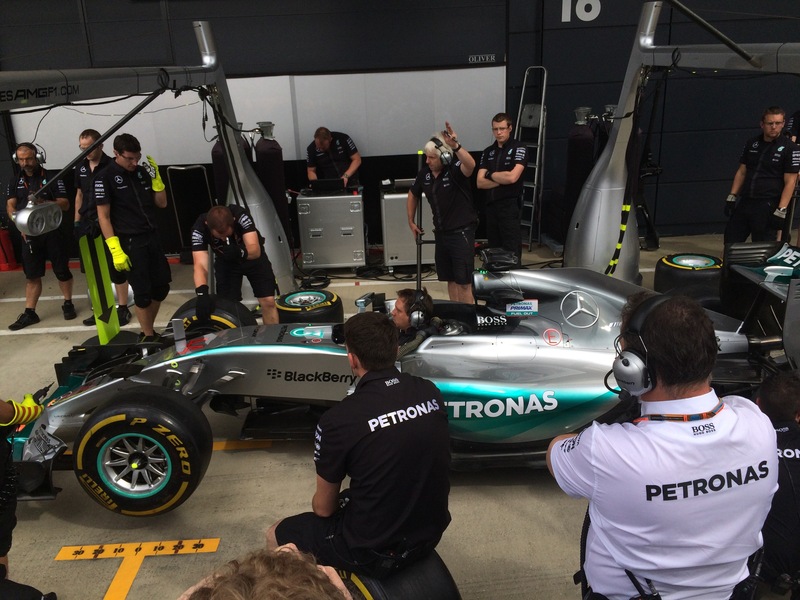 What were Daimler Benz thinking? 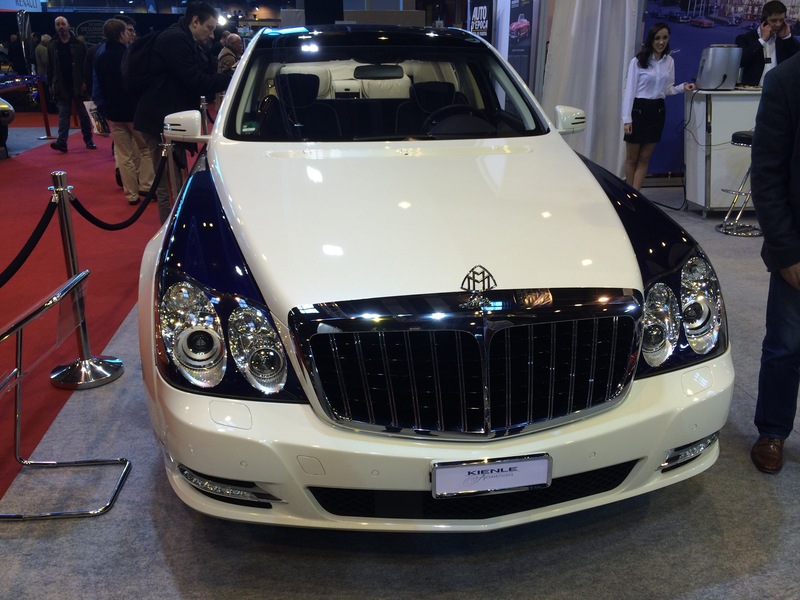 The Maybach was a truly ugly car bought by people with limited taste. 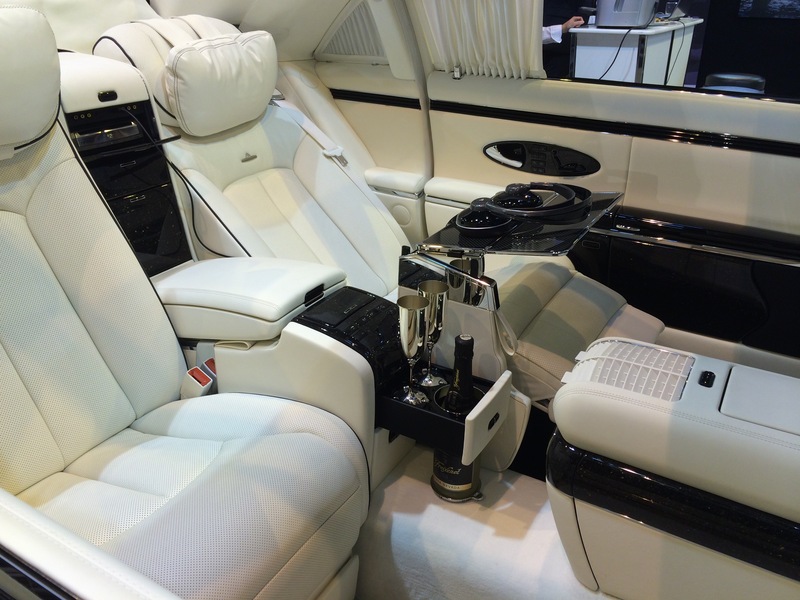 This Maybach 62 Landaulet is vulgarity personified. 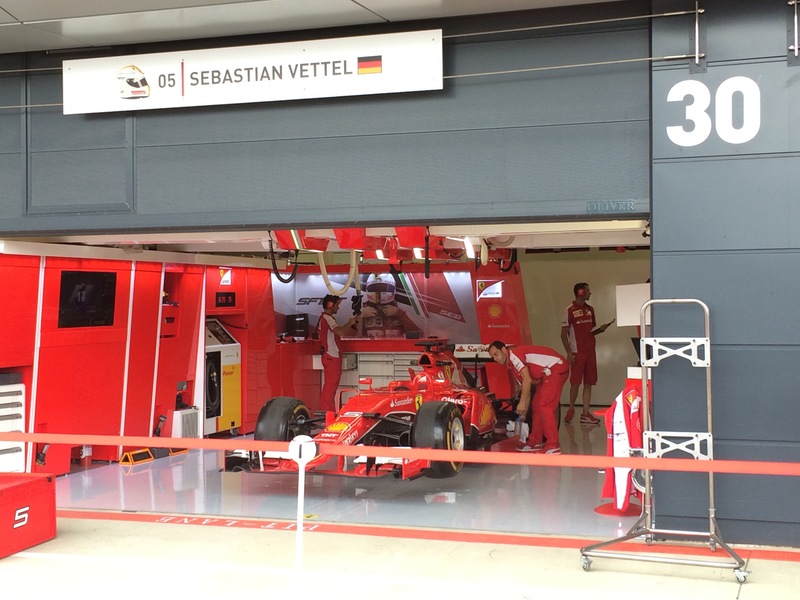 The interior looks like a Dubai hotel suite. The bottle of Nevada Cava says it all..
Nicely patinated (i.e. 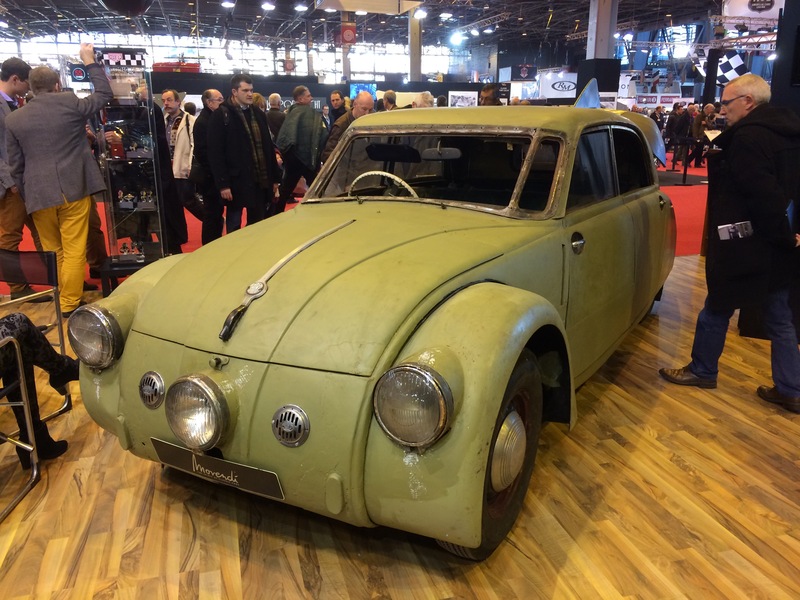 decrepit) 1935 Tatra 77A. Yours for a cool £375k! 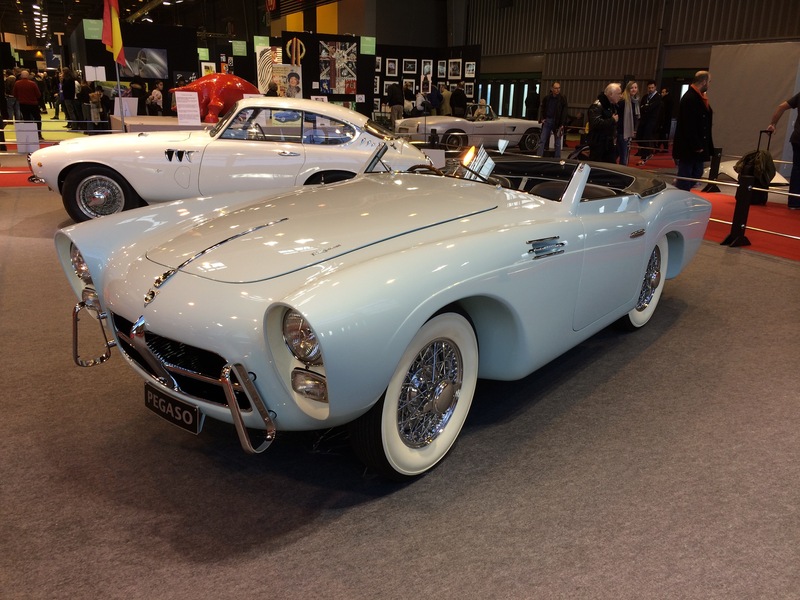 Pegaso of Spain made some wonderful cars in the 1950s and a fine selection were on show at Retromobile. This Z102 Coupe was bodied by Saoutchik. 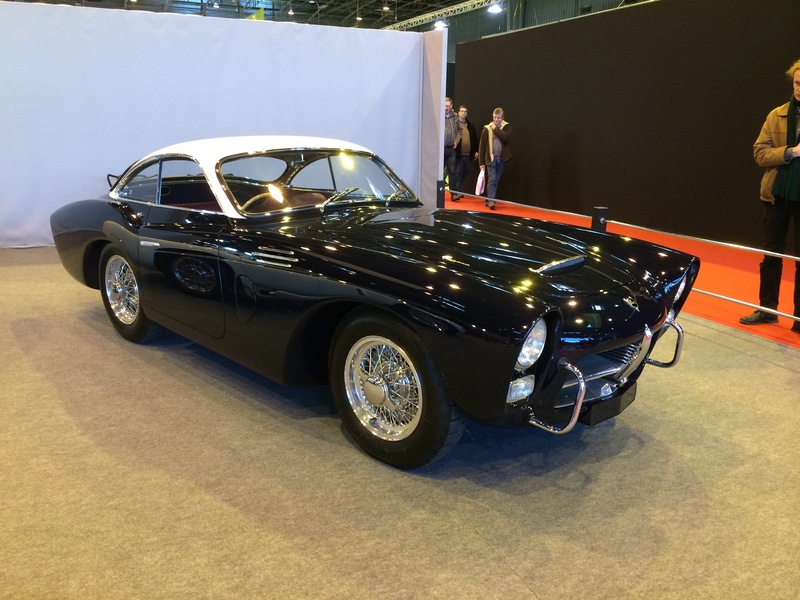 This Pegaso Z102 was bodied by Touring Superleggera of Milan. 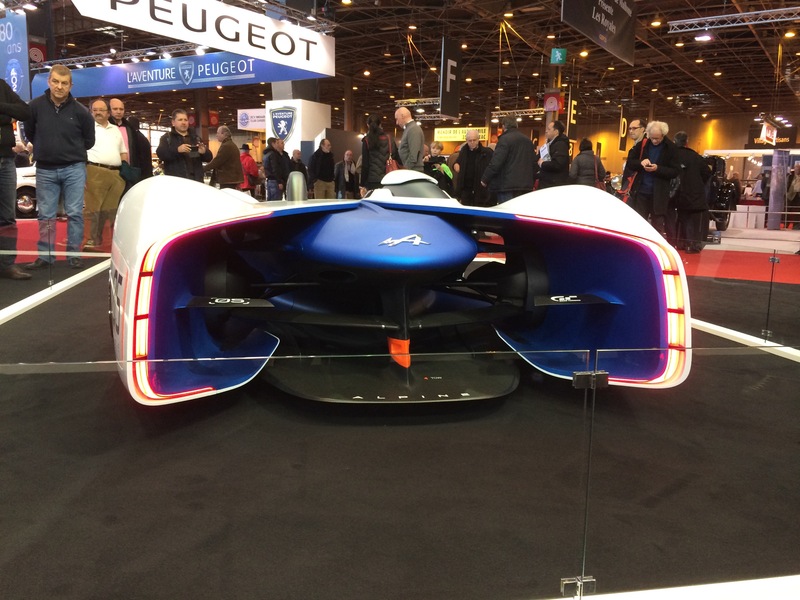 Back on the Renault stand, Alpine showed this concept car that has been digitised for use in the latest version of the Grand Tourismo computer game. 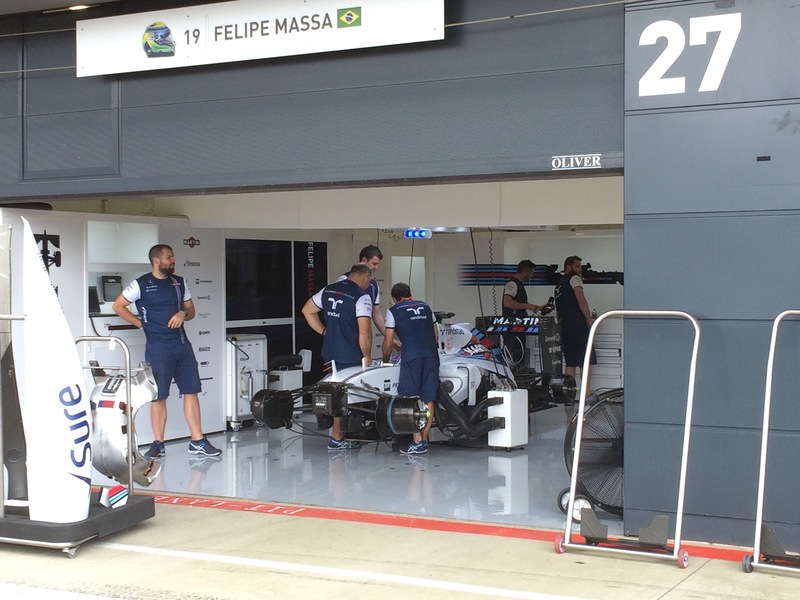 The reception has been so positive it is rumoured that it is possible the car may enter production. 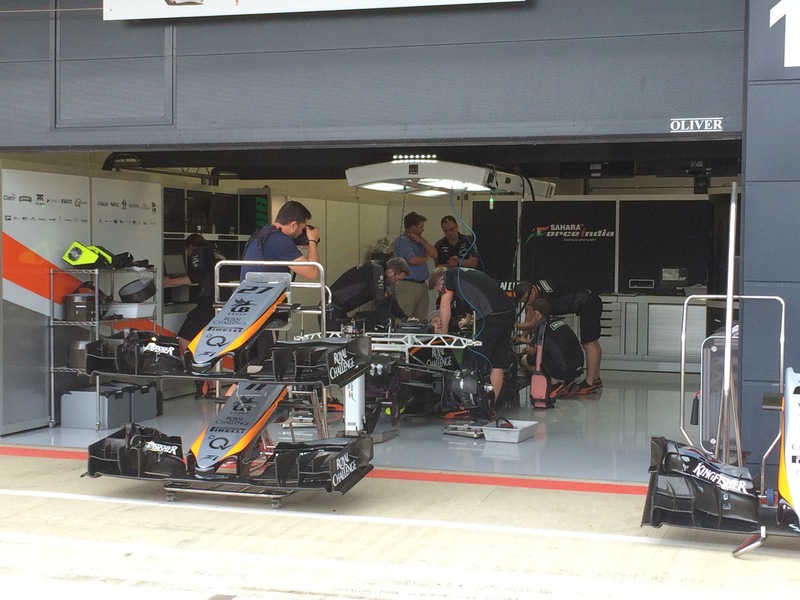 Imaginative aero solution. No need for wings here!